According to sources, Apple is planning for the release of high-end AirPods, HomePod and over-ear headphones for as early as 2019. The AirPods are slated to pump up the volume and will also come with noise cancellation and water resistance. When we talk of water resistance, the AirPods will not be suitable for swimming, but essentially to protect it against rain and perspiration. Apple will be working on increasing the range that the AirPods can work away from an iPhone or an iPad. The AirPods will cost more than the $159 per pair. They are working on a wireless charging case which will also be compatible with the AirPower charger. The company is also looking at biometric sensors to be added to the AirPods. It could be a heart-rate monitor which could be handy like the Apple Watch and thus expand their base in the health-related field. However, the AirPods that are currently available are slated to be enhanced later this year with a new chip. This will allow hands-free Siri activation. The cordless AirPod headphones can connect instantly with all your other devices as soon as you put them into your ears. The AirPod has a W1 chip which allows 5 hours of non-stop listening on a single charge. It also has a charging case which accommodates additional charges and gives more than 24 hours listening time. In case you require quick charge, then put the AirPods in the charging case for just 15 minutes and you will get 3 hours of listening time. Siri can be activated by double clicking on any of the AirPods, without any need of taking your iPhone out of your pocket. The AirPods will connect with all the other Apple devices that you have. The AirPods connect with your Apple Watch and iPhone simultaneously. You need to just choose AirPods on your iPad or Mac in case you want to listen on those devices. With the AirPods, you receive high quality AAC audio. Whenever the user wants to make a call or talk to Siri, then the background noise is cancelled by dual beamforming microphones. The AirPods will help you hear more clearly in a noisy environment through the iOS 12 operating system which is slated for a launch in the fall. The AirPods through the iOS 12 can be used for “Live Listen”, which is an assistive hearing technology developed by Apple. This is available on the iPhone, iPad or iPod touch with compatible hearing aids or cochlear implants since 2014. The AirPods need to be paired through the Bluetooth on your iOS 12 device. The AirPods from Apple have raised the bar since you can not only walk around with them in your ears but you can also understand what people are saying more clearly. In addition to the AirPods, Apple is said to be coming out with a new HomePod and over -ear headphones in early 2019. The headphones will be competing with those from Bose and Sennheiser. These headphones will be a higher-end alternative to the company’s Beats line. One of the pioneers of creating high tech gadgets, Apple has never failed to surprise its customers. Yet again, Apple has come up with something new that is bound to awe its loyal customers. The company has recently released iOS 10.3 officially, and as usual it is packed with a host of surprises. AirPods users would find themselves lucky, for the gadget’s updated version is all set to amuse the users. The Find My iPhone feature is now available on AirPods, and it would make the process of finding misplaced AirPods incredibly easy. The feature called Find My Airpods is new and thus a few glitches are quite common. This AiPod feature is not quite sophisticated as the iPhone one, as one has to connect their iPhone to their AirPods for making this new feature functional. This also means that if the two devices are present not quite close to each other, the feature will not operate. However, Apple is known for its constant customer dedication and thus every AirPod user can be assured that the company will try its best to find the misplaced device. This new feature is accessible just like the other ‘Find’ services for Apple Watch, iPod, iPad, and Mac. For using this new and enhanced Apple feature, simply log into the Find iPhone application, and find ‘AirPods’ in the list of available devices. From there, you will find where all the Apple products including the Airpods are located. For locating the AirPod only, tap the option given and you’ll find an option which will allow you to play a song on the device. 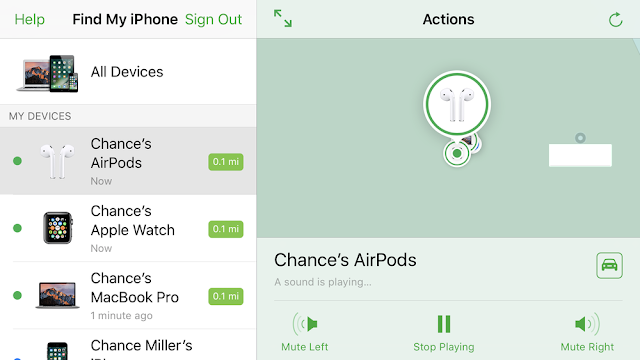 You’ll also find a similar option which will allow you to mute the right or left AirPod for stopping the music. The feature of stopping the music is provided to help you locate only one of them if you’ve not misplaced both. Although, the sound emitted isn’t that loud, but it is enough to find a misplaced earbud in a moderately quiet environment. For those of you, who have started using iPhone or AirPods for not that long need to know that the feature will only work if the AirPods are connected to the iPhone. In case, your device isn’t connected to the AirPods or you’ve misplaced them in some other location you will only get to see its last location. Even if you press the ‘play sound’ button you’ll receive a screen pop up saying ‘sound pending’. However, while most of us are in the habit or losing or misplacing earbuds, this function will be a boon for all Apple users. It’s quite useful for tracing nearby AirPods. Even though Apple has made it far easier to locate misplaced gadgets (that are expensive), losing them at a faraway location might make it difficult for you to locate. Inspite of this slight technical hurdle, the feature is advantageous and even more applaud able is the gadgets wireless design. So, if you’ve invested in AirPods no need to fret if you’ve managed to misplace it. Apple’s impeccable features will help you locate the device and save you from the hassle of buying new ones. The latest model of the iPhone is causing stir in the present mobile market and rightly so, with its superior features and the brand name of Apple, it is the best phone to have. But iPhone 7 the advanced technical features of the iPhone 7 is not the main reason as to why it is catching everyone’s attention. It is due to the unique Apples AirPods that is the world’s first small sized and wireless Bluetooth headsets for the iPhone.As much as these small devices cost, the growing concern about them is with how ease they can get lost. You thought put them down somewhere and the next moment you can’t find your 160$ Bluetooth headphone! Surely you don’t want that. Finder’s for Airpods makes sure that you never lose them! Deucks Pty, a developer who has some experience in making gadget finding apps, came up with this excellent idea of creating a tracking app for the AirPods. What this app does is that it measures the Bluetooth signal from either of your lost AirPods and guides you using a “hot” and “cold” tracking system. Just launch the app if one or both of your AirPods go missing and it will get you to the spot where you misplaced your headphones. 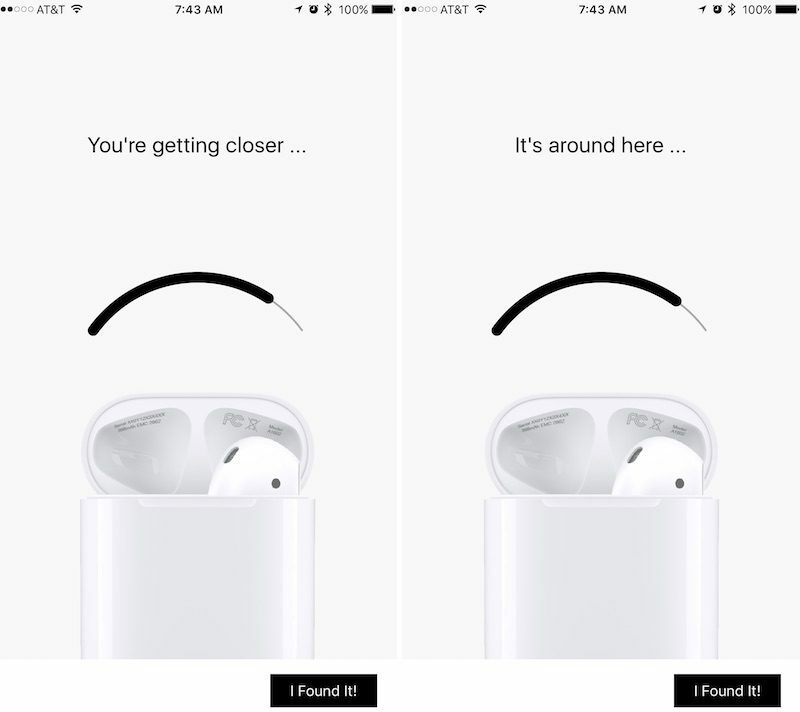 The app helps you find your missing AirPod through graphic lines. A thin line means that you are far away from your AirPod while a thick line indicates you are getting closer to it. The app will also give you a visual clue as to how hot you are how cold depending on the signal from your AirPods wireless signature. 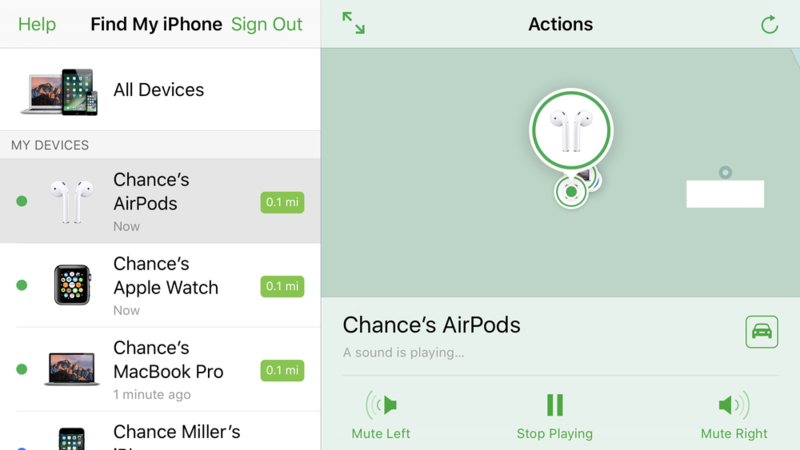 Made from his own experience, Deucks has prepared this great app after facing the same issue of losing his AirPods the very next day he brought them. Needless to say, we can be careless at times and loosing something as small as the Airpods is inevitable. Finder’s for airpods makes a good job at protecting your investment. When dealing with any kind of technology there are bound to several factors that can go against it. Since the app uses Bluetooth signals, certain environment factors can cause hindrance to the apps working and slow down the process of connecting to the Bluetooth signature of your lost AirPod. Another aspect that can act as a limitation to the working of this app is the fact that your lost AirPod needs to be charged to emit the signals. Once the battery levels are depleted, finding your headphones become extremely difficult. Since Bluetooth tracking requires the user to be in close proximity with the other device, finding your lost AirPod becomes effective. As of now, Finder’s for AirPods which was up on the Apple store has been removed by Apple and was deemed inappropriate for the apple store. According to the developer people who have already bought this app can ask for refunds via their iTunes. Apple has launched the Airpod along with the iPhone 7 just a few month ago which took everyone by surprise. Apple did away with the headphone jack in the latest iPhone which didn’t go well with a number of consumers, fans and critics alike. But at the same time Apple came up with an innovative concept of Airpod which are essentially wireless headphones. A recent announcement from Apple has revealed that the Airpod wouldn’t be ready for Christmas sale and this has disappointed it fans all across the globe. The reason for delaying the release of the Airpod is attributed to the fact that Apple requires more time in resolving some of the issues which might adversely affect the user experience. During the iPhone launch event in September Apple promised to make the AirPods available in the month of October. But things didn’t go as planned and launch was delayed further with no date set for its sales. A number of reports emerged in the media which stated that Apple AirPods are way complex than the simpler Bluetooth headphones. In the regular wireless headphones the receiving of Bluetooth signal in just one earpiece while AirPods are designed to receive sign in both. This has aggravated the problems for Apple as it I struggling to resolve the delay of receiving and syncing of the audio between the headphones. Another major issue to resolve for Apple is to ensure that AirPods keeps functioning well enough even after the battery dies in one of the headphones. This is first time in last six years that Apple has postponed the launch of its product in this case AirPods. The last postponement came in 2010 when iPhone 4 was delayed due to manufacturing problems. Earlier this month Apple CEO sent across an email wherein it stated that the company is finalising the details for the AirPods and it will begin shipping in next few weeks. A chief technologist from WiFore Wireless Consulting has shed some light on the postponement of AirPods which has left millions of fans disappointed worldwide. He clarified that Apple is going to bring a breakthrough product in the market which will act as a epitome of wireless communication therefore it can’t risk going wrong in any manner. However even he opined that missing the Christmas sale season will certainly impact the popularity, reach and revenue as a whole for Apple but it is worth than coming up with a malfunctioning device. Secondly Apple has to deal with a number of skepticism with the launch of iPhone 7 which happened to be minor upgrade upon its last version. This emerged from the trend set by Apple wherein ‘s’ lineup mean minor upgrade while ‘number’ specific release resulted in a more refined and feature rich device with bump in specification as well. On other hand one of the Apple spokesperson stated that Apple believes in launching only when it is completely ready. Apple’s idea of doing away with the headphone jack without any type of replacement seems to make some sense on reconsidering this issue. Together with the iPhone, the company has announced three different kinds of wireless choices, comprising of two new Beats models with enhanced processors having extremely long battery life and the latest Apple AirPods. 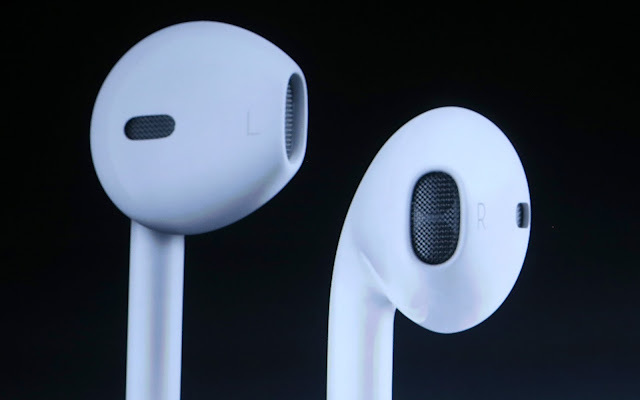 The buds white in colour seems like Apple’s EarPods, and the headphones have been despatched with every iPhone. They seem to be much lighter when compared to the other Bluetooth headphones which can be fitted comfortably in the ears. The EarPods tend to be without the cord which means that they do not sound great; it would possibly be adequately good for some of the users. 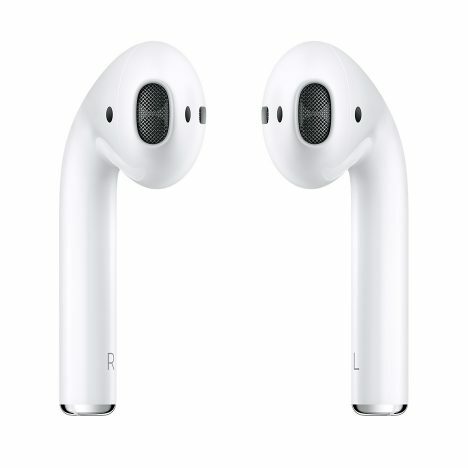 The AirPods which is the company first ever Bluetooth headphones comprises of an Apple logo which sets it apart and looks precisely like the universal white EarPods. They come with a charging case which tends to double as a pocket-able storage unit together with a battery supporter which could top off the battery life of five hour for an additional 3 hours in just around 15 minutes. The five hour life of the battery for the earphones is not great though it could be good for the tiny ear-buds. The small dental-floss looking charger packs adequate complete charge for 24 hours though quick charges them which can run it for a day or even two/three. One only needs to familiarize themselves to swapping the buds back in the case when not inuse. Being a Bluetooth headphones they tend to work with any Bluetooth enabled smartphone, tablet, computer or any other device which is wireless. On pairing them with the Galaxy S7 Edge, they seemed to work well for music and calls. However, when used with Apple devices, one tends to get some extra special features like auto-pairing. While in Bluetooth mode with non-Apple devices, the AirPods does not turn on or off when the same is removed from the years. The new headphone has been priced at $159, £159 or AU$229 though the same would not be available till October. The AirPods seems to feel like the regular EarPods though wireless. 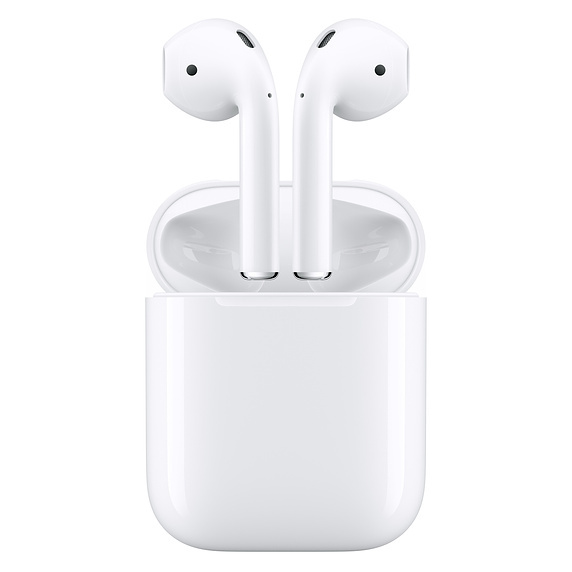 The AirPods is said to contain a secret sauce which several other wireless Bluetooth headphones do not have, simplified automatic pairing across Apple devices which run iOS 10 or MacOS Sierra. In daily use, the pairing process had undergone several hits and misses in the daily use. In order to link them the first time, you could flip up the case of the lid of AirPod and the iPhone prompts if you desire to connect. On the iPhone 6 and 7 Plus, running a build of iOS 10 software having added compatibility of AirPod, the pairing is said to be automatic. Several of the Android phones seem to have similar tap to pair task which tends to use near-field communication –NFC on compatible handsets as well as headphones. Once the same is paired, the headphones seem to function with all the compatible devices of Apple one may own through iCloud. However in order to utilise these devices, you would need to locate a sometimes-hidden button in iOS to pick the audio source and then tap `AirPods’.